Whether you are transporting furniture for a private family who is moving from one home to another, or you are rendering delivery services for a furniture company, there is only one thing they have in common. The cargo which is furniture is of a significant value and it costs to lose more than just its sentimental value if there is any damage caused on them during its transport. Any responsible trucking service must have at least a cheap commercial truck insurance coverage to protect their business. To say the least, this type of insurance would cover the expenses if there was any loss or damage done during the transportation of furniture cargo. Ironically, furniture despite its bulk and size is one of the most fragile cargoes that you can transport. A mere scratch can reduce its value significantly. Just imagine if you are servicing a furniture company that sells vintage furniture or even the contemporary but expensive ones. If during your transport, one of the tables breaks its leg during a collision, the client will most likely charge you for the loss of its sale. With the most basic of insurance coverage, you can face up to these charges and even have enough funds to have your vehicles repaired. In some cases, if the damaged goods can still be repaired, you might just be charged by your client for the cost of repairs. But that is if you are lucky and you have those stipulations in your contract. Having some insurance coverage along with your trucking services can be your driving edge in winning over your loyal customers. You can mention that you have special insurance protection to ensure that in the event some unforeseen accident or occurrence happens during its transport, you have ample protection for both the goods and the services. Some insurance companies can pay for the actual costs of the loss and damage of the cargo during its transport. Others will pay for the cost of its repair or replacement. You can arrange for a customized insurance policy depending on the type of customer and cargo that you carry with your insurance company. You can also request for cheap truck insurance quotes with reliable providers like Strong Tie Insurance Company. They can tailor fit a quote that will cover your basic needs and fit it into your budget. Their General Liability insurance coverage already provides protection for costs of property damage, medical payment, personal injury, bodily injury and other typical types of liabilities. You can’t go wrong with the most basic coverage like that. 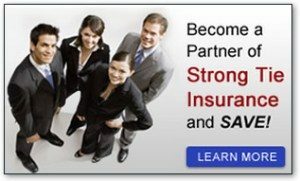 By merely mentioning that your trucking service is protected by a reputable insurance company like Strong Tie Insurance, you are already building client confidence. They are aware that no matter how careful you are roadside accidents and even hijacking or theft is bound to happen. But taking pains to insure your company against these unforeseen losses and complying with state requirements says a lot about the professionalism of your company.